Jeremy Maclin had a rather disappointing season hauling in only 44 receptions for 536 yards and scoring 2 touchdowns. This was due to the fact that Maclin did not play in 4 games due to multiple injuries that plagued him. When he was able to get on the field, it was apparent the injuries limited his on field performance. In 7 out of the 12 games he did play, Maclin failed to surpass 50 yards receiving. This poor outing led to him finishing as the 75th ranked wide receiver, and he posted career lows in receptions, receiving yards, and touchdowns. Due to Maclin’s poor performance last year, he has fallen down draft boards. He is currently being drafted as the 38th wide receiver and is sitting at an average draft position of 8.10 overall in 12-team standard mock drafts. 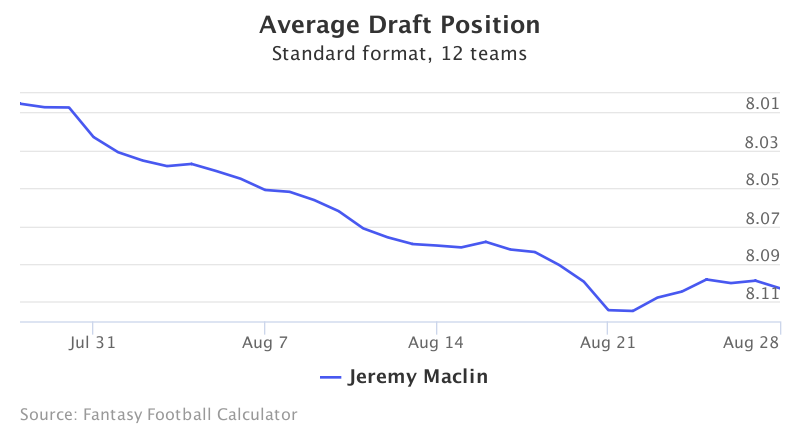 As preliminary drafts begun over the past month, Maclin’s ADP has fallen almost a full round. This looks to be changing though as we approach peak draft season, as his ADP has begun to rebound over the past week and trends upwards. Jeremy Maclin finished as the 16th and 9th ranked wide receivers in 2015 and 2014 respectively. These years the quarterbacks throwing him the ball were Alex Smith and Nick Foles. Maclin was able to finish as a top-20 receiver in both of these years despite being thrown the ball by mediocre quarterbacks. Maclin now finds himself with Joe Flacco who, admittedly, has had some trouble in producing WR1s. The last Ravens’ receiver to top five TDs was Torrey Smith in 2014 (11) and last year Mike Wallace led the Ravens in receiving with 1,017 yards and 4 touchdowns. With Wallace still in the offense, this should help Maclin avoid double-coverage, much like in previous years in Philadelphia when he shared the field with Jordan Matthews. Over the past two years, Baltimore has ranked 1st and 5th in NFL team passing play percentage due to their non-ability to run the ball. In a competitive AFC North that will be scoring a lot of points and with the addition of pass-catching running back Danny Woodhead, there is no reason to believe there will be a significant drop is pass attempts this season. 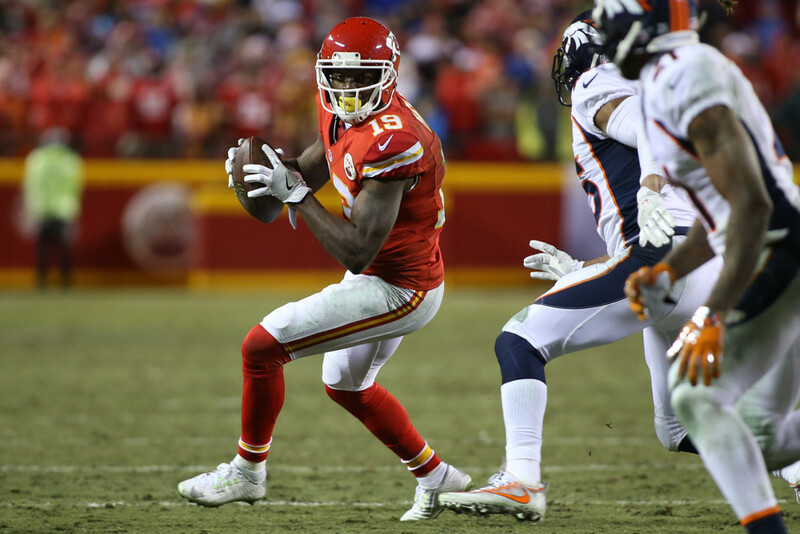 Maclin thrives as the number 2 in offenses, and will look to bounce back this year. At his current ADP, Maclin currently has value as a WR3/ flex position in most leagues. If starting RB heavy when drafting, Maclin’s weekly production will be somewhat volatile, but if he can earn the trust of Flacco early on, he could push for double-digit touchdowns in an offense that is often riddled with injuries. If Maclin can remain healthy and regress back to his average stats, he will cement himself as a WR2 or higher, which return great value this late in drafts.